What a great way to fund-raise! 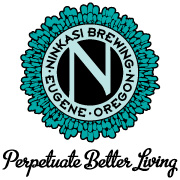 Way to go Nigel for “forcing” us to get off our ergs and come down to NInkasi and drink beer. You are such a taskmaster! There was laughter, beer, jokes, nuts, trivia, and new faces. Who wouldn’t want to be part of this merry band of rowers? PS Ray – We really could have used your photographic skills! Please excuse my out-of-focus shots….I think it might have been caused by the beer?